i received a present of an acorn squash and a butternut squash (yay for all the little farmers i know!) how to turn them into a yummy dinner was the next question. 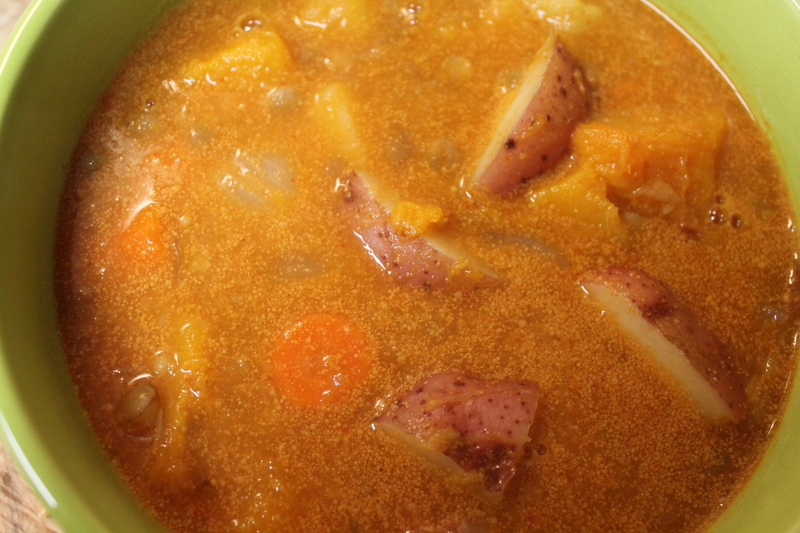 with the cooler weather approaching, fire building and mugs of spiced apple cider happening, a curried squash seemed to fit the bill. to make the squash a bit easier to handle i decided to roast them. once they were soft enough to cut up i tossed them in to a red curry sauce that had lentils, carrots, potatoes and onions. lets just say it tasted like fall! roasting squash is simply and easy. to cut an acorn or butternut squash in half cut off the stem ends, stand it on the flattened side, and gently rock your knife back and forth. 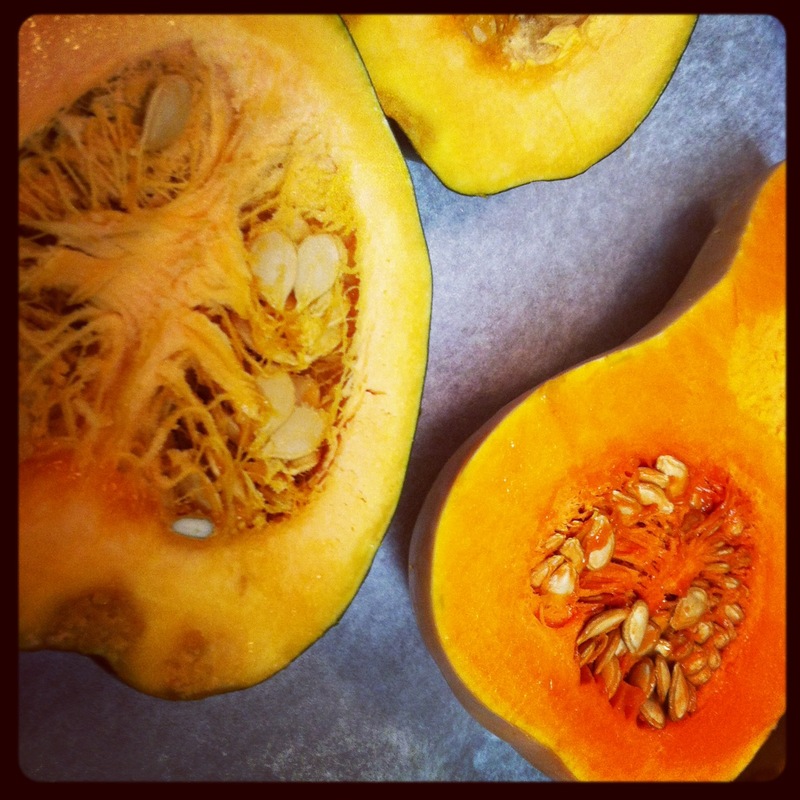 once the squashes are cut in half, lightly brush on olive oil, sprinkle with sea salt and cracked pepper. roast the squash for 1 hour at 350. the squash should be so tender that you can scoop them out of their pealing. eat as is or toss them into a soup, pasta, or salad!